Learn about Master Lock Select Access® Smart lock boxes. 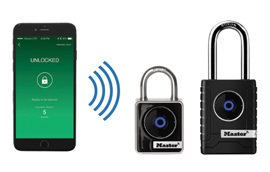 Learn about Master Lock Smart™ padlocks. Learn about Master Lock cables & bike locks. Learn about Master Lock combination padlocks. Learn about Master Lock Door Hardware. 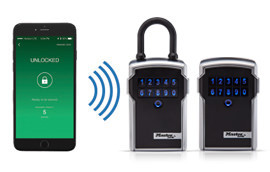 Learn about Master Lock Electronic Locker Locks. Learn about Master Lock standard and hinged hasps. Learn about Master Lock key operated padlocks. Learn about Master Lock institutional Locker Locks. Learn about Master Lock TSA-Accepted luggage locks. Learn about Master Lock Multi-User Built-In Locks. Learn about Master Lock SafeSpace® storage security products. Learn about Master Lock lockout/tagout safety products.